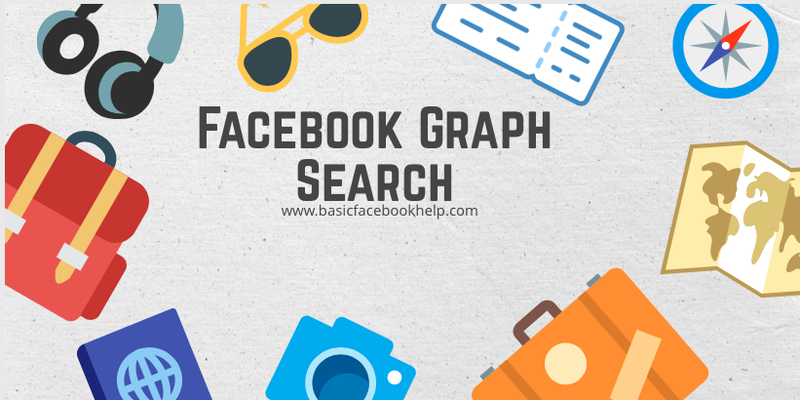 If you’ve been paying attention to recent social media news, you’ve heard of Facebook Graph Search. This is Facebook’s internal search product, which aims to return personalized search results by using data generated from your friends and likes. How does it work? Can it help you connect with fans and customers? I found 12 articles that are most likely to answer your questions and share them here in one spot. So grab a cup of coffee and browse through these resources to learn how this new “pillar” of the Facebook ecosystem will transform your online activities. Let’s start by getting the skinny from the horse’s mouth. Facebook’s own information page highlights the ability to find people who share your interests, explore the world via friends’ photos, and discover experiences you will enjoy via people you know. Results are unique and personalized because they’re based on your own interests and those of your friends. Be sure to check out Mark Zuckerberg’s video, which is about half-way down the page. It’s a great introduction to this new feature. Key takeaway: It’s more important than ever to get your privacy settings right. Check what you have enabled for location and tagging. The Activity Log is an important part of the control process. This article byDigital Trends explains the difference between the old Facebook search, which was largely keyword based, and the new one, which relies largely on relationships between webs of data. It explains (in part) how Facebook works out what is relevant when you search. Key takeaway: Facebook uses natural language processing to make searching more intuitive and help it deliver the right results. Mashable’s Todd Wasserman mentions some of the potential of Graph Search for small business. He highlights the limited guidance on maximizing Graph Search for Facebook page owners, pointing out the opportunity for small brands with engaged fans to become more prominent. Key takeaway: Graph search can help brands improve geographical and long-tail search positioning, and brands that engage with their fans will win out. Tara Urso points out on Social Media Today that businesses must now evaluate and complete their Facebook pages, making sure to keep it up to date and to use descriptive keywords. The author says ‘likes’ are now more important, as is relevant content. Key takeaway: Graph Search could help businesses and marketers identify leads and user interests, helping them target their actions better. Paul Boutin of the New York Times gives some examples of how Facebook Graph Search works and highlights some of its limitations. He points out that looking for a restaurant of a particular type in a large city or finding the complete works of an author may be beyond this new search engine. Key takeaway: Facebook Graph Search lets you take advantage of the information friends and families have already shared, liked or searched for. This six-step tutorial explains how to track graph searches in Google Analytics using profiles and filters. Key takeaway: It’s best to set this filter up now before Graph Search rolls out widely. A Global Voices article also raises the privacy issue, pointing out that Graph Search removes individuals’ control over what they share, placing it in the hands of their friends who may have more public settings. Facebook’s answer is to have users ask their friends to limit who can see certain info, but the article points out that this is an impractical strategy. Key takeaway: Facebook should allow users to opt out of Graph Search and choose whose results your information shows up in. On MediaBistro, Patrick Coffee outlines how to use Graph Search as a media contact database. He shows how one user used the search to identify an editor in a niche area and partner with him to offer products to readers. Key takeaway: For PR professionals, the potential of Graph Search goes beyond using it for market research. It can also help put you in touch with the right people. The Content Marketing Institute’s Amanda Peters highlights the implications of Graph Search for content marketers. In addition to optimization tips related to keywords, location and the about page, she suggests publishing often in a wide range of formats and engaging fans with contests and promotions. 10. 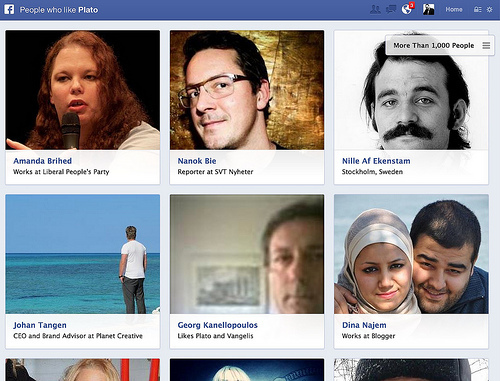 Facebook’s Graph Search: what does it mean for marketers? eConsultancy polls social media and search experts on their views on the new search. The article discusses opportunities for brands, data accuracy, the search for ‘likes’ and the question of spam. No key takeaways, though most people seem to feel that brands will benefit from Graph Search. The author of this Search Engine Journal article believes that there are three obstacles to making Graph Search successful for both users and business investors. First, that people want to be like their friends’ influencers rather than like their friends. Second, the issue of information privacy. Third, that others have tried social search and failed. Key takeaway: If Facebook can successfully address those issues, Graph Search could be a game changer for social connection. This Wired article points readers to some recent Graph Search updates before discussing the tool’s potential to bridge the gap between reach and relevance in search. However, the article also highlights the danger of people sharing less information because of privacy worries and therefore making the tool less relevant.